An Ancient Solar System...: Starship drives, part 1: Sublight engines. The recent announcement of a $100,000,000 'Breakthrough Starshot' effort, to solve the problems of sending a probe to the nearest star, has prompted a lot of on-line talking about what kind of engines a bona fide starship needs. There's even a 'breakthrough conference' taking place, covering everything from stardrives to SETI, so expect a few interesting ideas to be reaching the web over the next week or so. There have been a lot of interstellar drive ideas proposed*, going back to designs from the 1950's. So here's a pick of some of my favourites, from the 'we could actually build this with enough money and time' type to designs that make people ask 'who's been feeding this physicist drugs?**'. Yes, nukes can be used for better things than genocide. In the 1950's a bunch of the engineers, who worked on America's nuclear program, developed project Orion: A plan for spaceships propelled by throwing nukes out the back one at a time and setting them off. Because.. well... why not? The biggest version of the Orion engine would have been a monstrous 100,000 ton nuke spitting behemoth capable of reaching 3% of lightspeed - a slow trip to the stars, and a fairly radioactive one... but the obstacles were ones of engineering, political will, and money, not plausibility. Above: A really well made video on Daedelus, from Times Infinity, via youtube. Many thanks! The British Interplanetary Society developed this idea n the 1970s, as a cleaner update of the Orion concept. Their engine used deuterium fusion explosions, heating pellets of deuterium fuel with an electron beam until they exploded, triggering fusion in the pellet's core - a process called 'inertial confinement fusion'. The Daedalus team weren't ever aiming to build a working starship, it was simply a theoretical exercises. But it established ICF engines as a potential interstellar drive. Interestingly, ground based inertial confinement fusion reactors have continued to be tested and developed, becoming the first fusion reactor design to generate more energy than they used in 2015 - so this is another idea that's already gone beyond the theory stage. Above: The starship Red Dwarf, probably the smeggiest ramscoop starship ever, and the best known. Courtesy of the BBC. In a previous post I mentioned how, although it seems empty, the space between the stars is actually filled with a very thin soup of ionised gas and dust. That gas is mostly hydrogen, the main fuel for a fusion reactor, and in the 1960's an engineer called Robert Bussard came up with a remarkably simple idea: Build a ship that could collect and concentrate that diffuse fuel source - a ramscoop. It would have a huge electromagnetic scoop, which would funnel hydrogen into the front of he ship, concentrate it, and use it as fuel. It's a brilliant thought, but when engineers actually ran the maths they found that the interstellar medium is too thin in our part of the galaxy for the idea to work - though in other regions of the galaxy it might be more feasible. Several variations seeking to overcome the originals problems, like the RAIR drive, have been proposed since. Above: JAXA's lightsail, the IKAROS. This is the idea being (tentatively) put forward by the Breakthrough Starshot initiative. 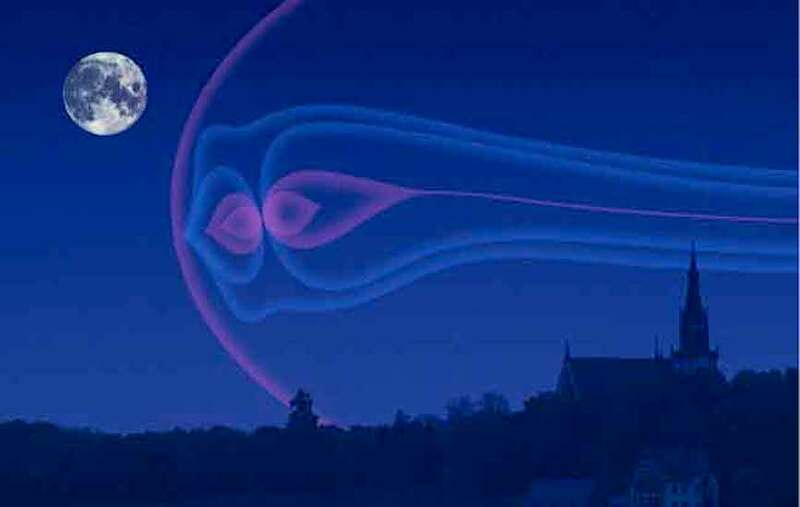 Lightsails are a technology that is fairly well understood, and have already been flown in space. Both JAXA's IKAROS space craft and the Planetary Society's Lightsail - A are propelled this way. The idea is very simple: Although it's to subtle to influence much here on Earth, light produces a very tiny push on things it hits. In space, where there are no other forces (like friction or wind) a large mirror surfaced sail can collect enough of this push to slowly accelerate a spacecraft. Because it's 'wind' is travelling at lightspeed the sail can (in theory) keep accelerating up to just below lightspeed itself - it's the ultimate victory of fuel efficiency over raw thrust. Above: The Planetary society give a run-down on their (now launched and successful) lightsail mssion. The downside is that light sources spread out, loosing intensity and reducing their push. So, to get a lightsail up to interstellar speeds, you'd need to replace the Sun with a laser beam - laser's don't spread out nearly as much. Like any idea it has it's own problems: An interstellar sail would need to be far higher quality reflector, not to mention more heatproof, than any sail flown to date. And the best sails we might build (in the near future at least) could only carry a few tens of grams at most. That means that sending a signal back to earth will be very difficult But, that said, this is probably the furthest developed potential starship engine. Above: Jupiter's magnetic field is so powerful that, if you could seee it, this is how big it would look from Earth. Courtesy of www.thunderbolts.info. If you're prepared to build your starship as a cloud of tiny 'chipsats', each no bigger than a thumb, then it's possible to get up to interstellar speeds using only natural resources: The planet Jupiter has a gigantic magnetic field, and a chipsat carrying a small electrical charge could use Lorentz forces (forces generated between electric charges and magnetic fields) to accelerate to a few percent of lightspeed. Above: A chipsat, the design which is being tested in earth orbit. courtesy of wikimedia commons. The downside of this idea is that, while it's entirely plausible in terms of physics, the radiation environment of Jupiter is hellish, and the technique will only work for USB stick sized and smaller objects - so no room for much shielding. Sending a cloud, or swarm, of such tiny vehicles would help: If the probes functions were distributed across a large enough swarm it might reach its destination with enough functioning parts left to complete its mission. But the idea still suffers from the problem of how to communicate with Earth. Above: The rings of Saturn, the most abundant source of natural antimatter in our solar system. Courtesy fo NASA/JPL. 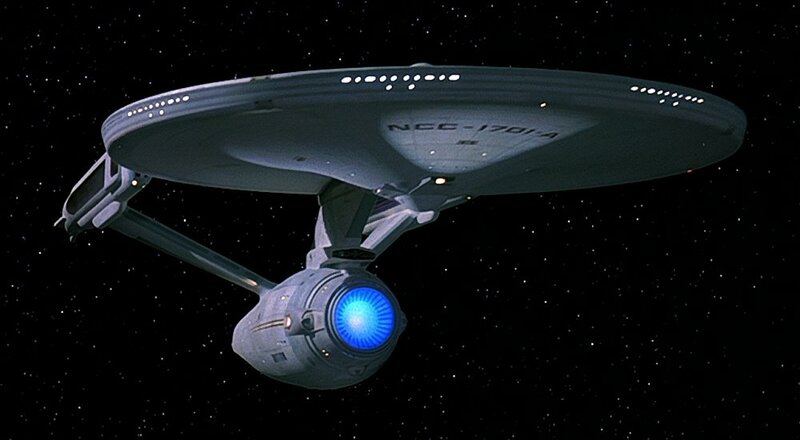 Antimatter, made famous by Star Trek as the fuel of choice for starships, is very powerful stuff: Inert by itself, it reacts with regular matter to release astounding amounts of energy. 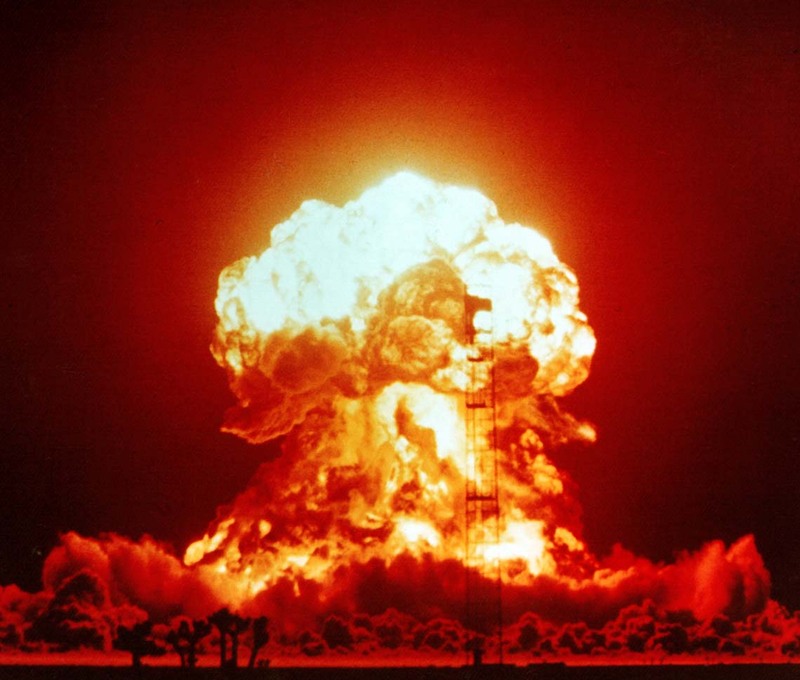 A piece weighing only grams could produce a bigger explosion than the Hiroshima bomb. Various stardrive proposals over the years have designed ways to harness the power of Antimatter. Some are essentially a supercharged project Orion, others use the heat from an ongoing antimatter reaction to vapourise propellant, producing a continuous thrust like a regular rocket. There are a whole class of antimatter engines that use antimatter to enhance conventional fusion or fission reactions, and so need much smaller amounts. There are small but significant sources of naturally occurring antimatter in our solar system, which it would be perfectly possible to mine. The biggest lies in the rings of the planet saturn, but there are small sources in near-Earth space too. An 'antimatter mine' could conceivable collect enough to make some of the lower end antimatter drives reality. Private space station module installed on the International Space station. *The consensus, right now, seems to be that the more difficult problem would be establishing a communications link acoss such a vast distance. ** A lot of them are on drugs to start with. No, seriously, you will never find a bigger collection of substance abuse time bombs than the inside of a physics lab.